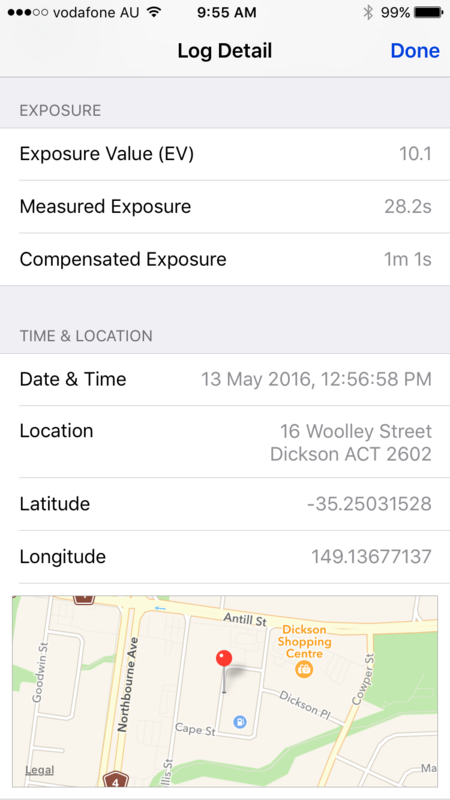 Pinhole Master is a light meter and exposure timer for pinhole photographers, or anybody else photographing with long exposures. 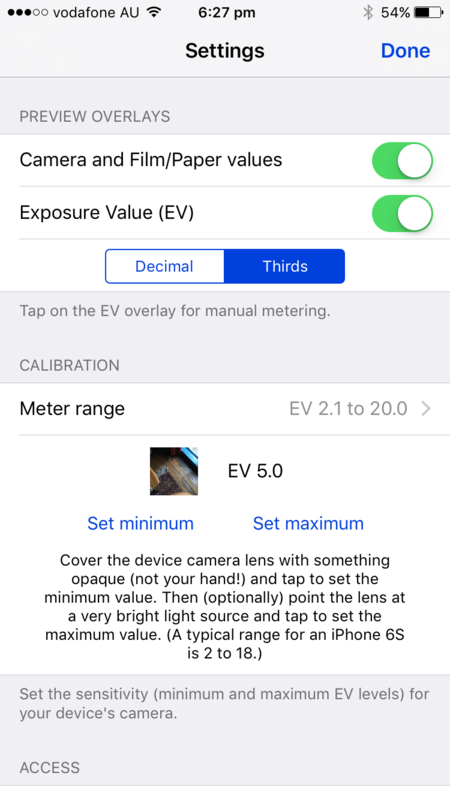 Use your iPhone/iPad camera to determine the light level (Exposure Value). 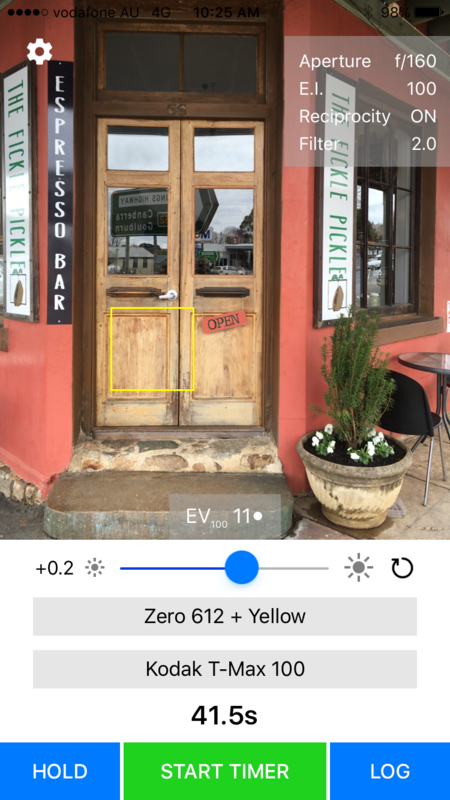 Tap on the preview display to localise a reading then fine tune the result with the slider. Alternatively insert a Lumu device for incident light measurement or enter an EV measurement manually. 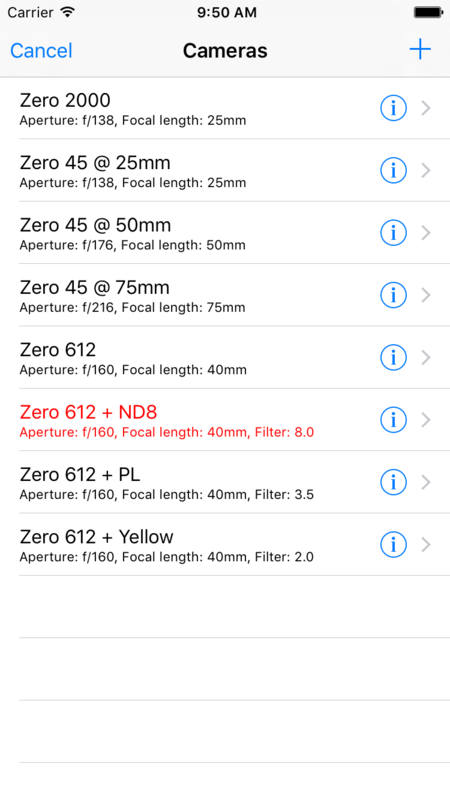 Maintain a library of cameras you own and films/papers you use, together with optional fully customisable reciprocity failure compensation. 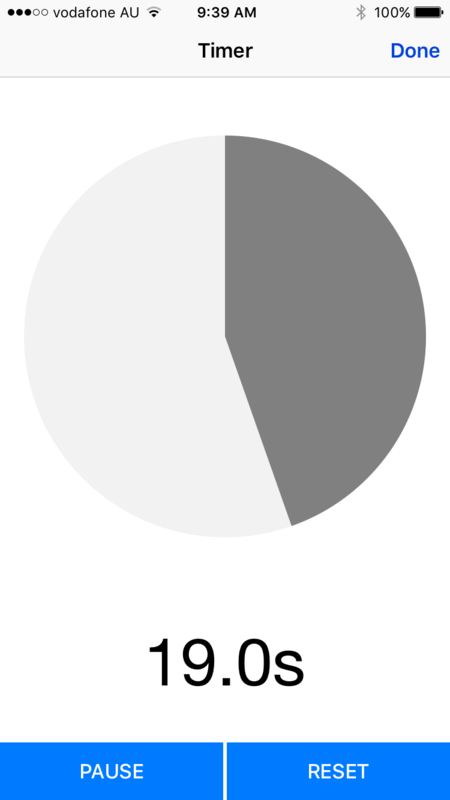 Tap to hold a light reading for when you’re ready to make the exposure, if desired. 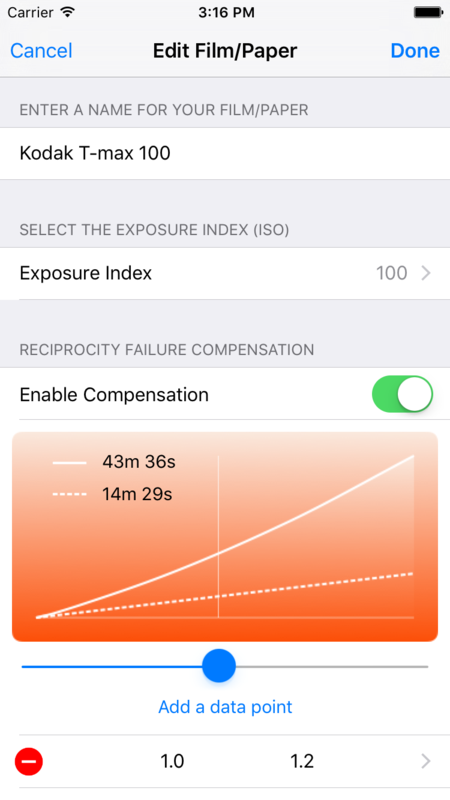 Then tap on Start Timer at the same time as you begin your exposure. 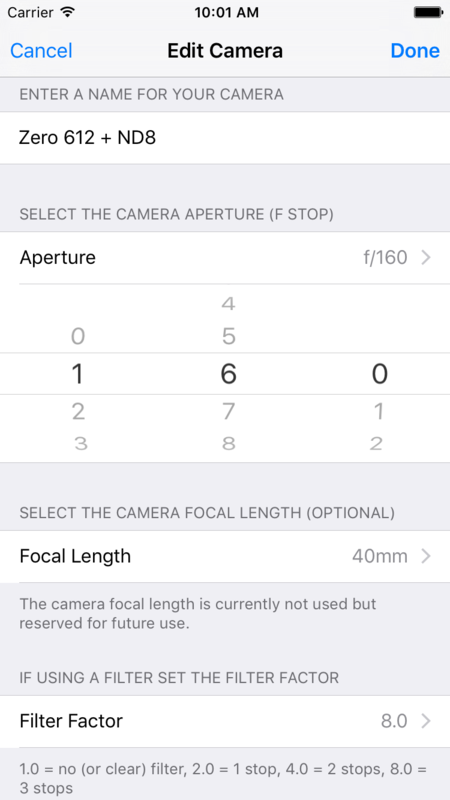 A record of all settings used along with the preview image is automatically written to a log for future reference. Pinhole Master can help you easily master pinhole photography!